The owner operates a limestone mining quarry and cement plant in Brooksville, Florida. 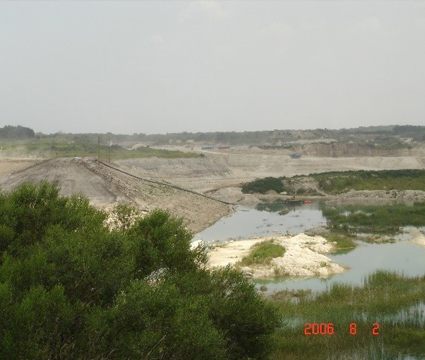 The quarry site includes a limestone tailings disposal facility. The current facility was approaching its full capacity in 2005. Ardaman, as the prime design engineer, worked to retrofit the current containment dike to increase the life of the facility during the construction of the new disposal facility and designed a new facility to handle the anticipated production for an additional 10 years of service. 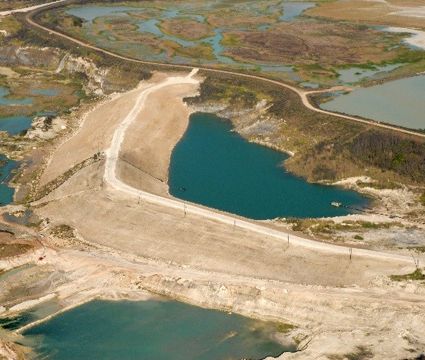 The new disposal facility included a design for an 80-foot high earthen containment dike along with spillways and floating pump.